Okey, I'll tell you because you asked nicely. My name is Mick, but I guess you've guessed that already. Anyhow, I am 23 years young and I come from a very little place in a little country called The Netherlands 🌎. My hobbies include Programming, Gaming 🎮, Archery 🏹, Airsofting 🔫 and also bike a lot 🚴. I am Currently enrolled at the Horizon College where I am taking courses for Application Development. Before that I was a self taught programmer with a lot of experience in webdesign. Before I went to the Horizon College I attended 2 years at the ROC Kop van Noord-Holland where I graduated as a System & Network Administrator. As of 22 September 2017 I am self employed. With my colleague Jardi van der Wal I started hosting websites & servers professionally. I am also a freelance web developer actively looking to create awesome websites and turn the impossible into swiss cheese. Before I started studying again I worked for almost 2 years as a systems administrator at Vitasys B.V. A local business that creates and maintains computers and networks for other businesses. 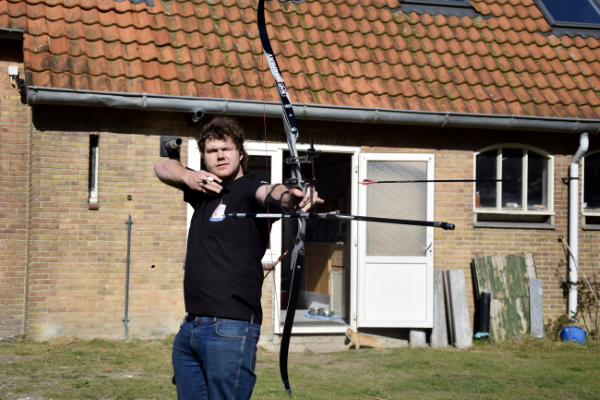 This is me (photo is a bit old) doing some Archery.